QuickPro Locksmith offers 24 HOUR emergency locksmith in Atlanta, Brookhaven, Chamblee, Tucker, Norcross, Dunwoody, Smyrna, Decatur, Stone Mountain, GA.
No matter where you are in Atlanta, if you’ve been locked out or need general locksmith assistance do not hesitate to call QuickPro Locksmith. Our technicians are on-call 24/7 and are ready to dispatch immediately. Whether you need to gain entry to your car, your home, or even your office, Quick Pro Locksmith will get you into where you need to be. 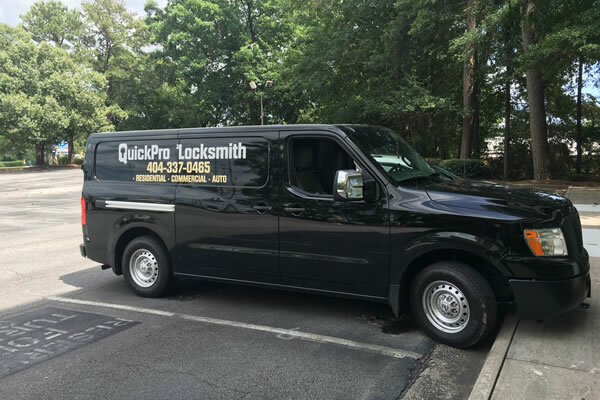 QuickPro Locksmith offers emergency locksmith services in Atlanta, Brookhaven, Chamblee, Tucker, Norcross, Dunwoody, Smyrna, Decatur, Stone Mountain, GA and all surrounding areas. Since all of our technicians have spent years in the field, they are prepared to face any challenge. We are proud to be lock masters and we hold the key to fixing all of your solutions. When we arrive at the job site, QuickPro Locksmith personnel are always equipped to handle the task at hand. Whatever the job is that needs to be done, we will always have the proper tools to do it right. In emergency situations it is important that the service is reliable, otherwise the issue becomes drawn-out and problematic. QuickPro Locksmith makes haste in any given situation, ensuring that you are not inconvenienced by your current dilemma.